Bobbie James is a vigorous, fast growing rambling variety that does a great job of filling a large space very quickly, so if you have a tricky spot or want to cover something unsightly, this is the variety for you. 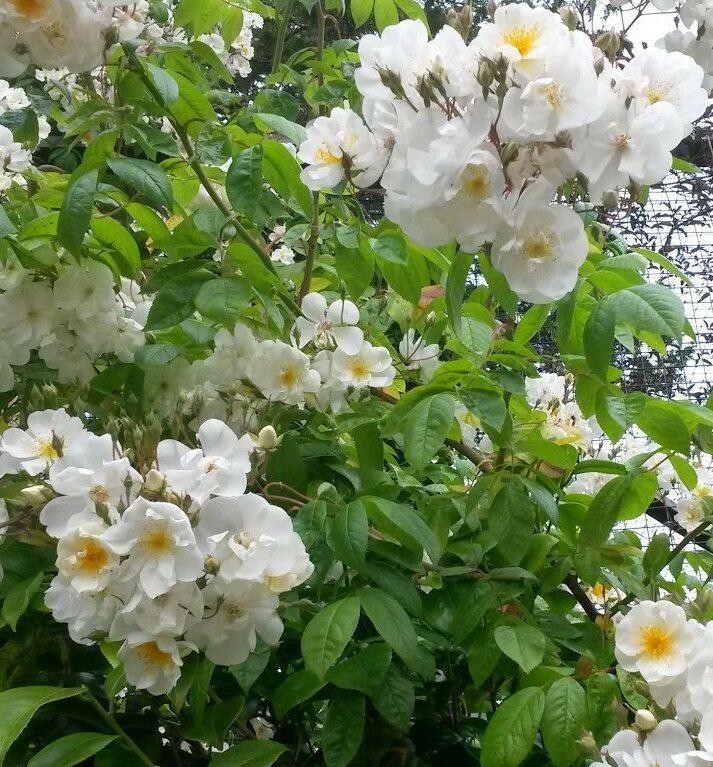 It's a multiflora variety, quite simply that translates as masses of flowers, and these form in dense clusters, are of a medium size and a pretty creamy-white in colour. A classic rambler, it quickly turns into quite a thick, bushy tall plant with plenty of flowering shoots and top growth. Ideal for growing up a strong fence or wall where the majority of it's weight and flowers will sit happily on top, Bobbie James is a reliable variety to grow, flowering all summer. Reaching around 3 metres (10ft) Bobbie James is also tolerant of a little shade, so is able to grow in those spots that do not receive sunlight all day long. Supplied in approx 5 litre containers.